I am so excited to share this cool art process with you today! 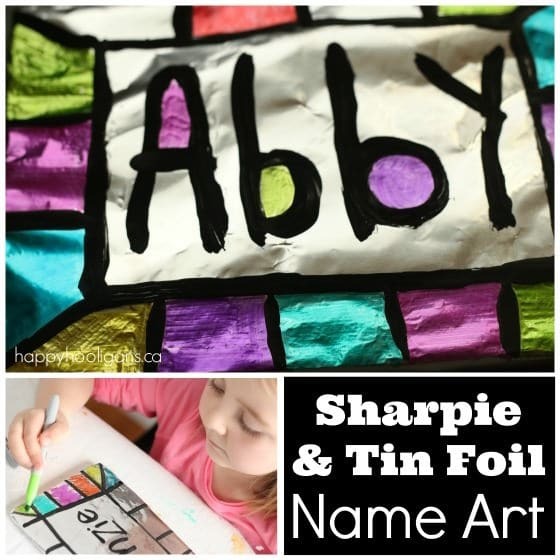 With this easy art technique, kids can make a piece of unique “name art” to hang in their bedroom or to give to a friend. I hope you’ll try it at home with your kids or, if you’re a teacher, that you’ll use it as an art-class activity with your students. It’s no secret that I’m a huge fan of Sharpie markers. I LOVE Sharpies! 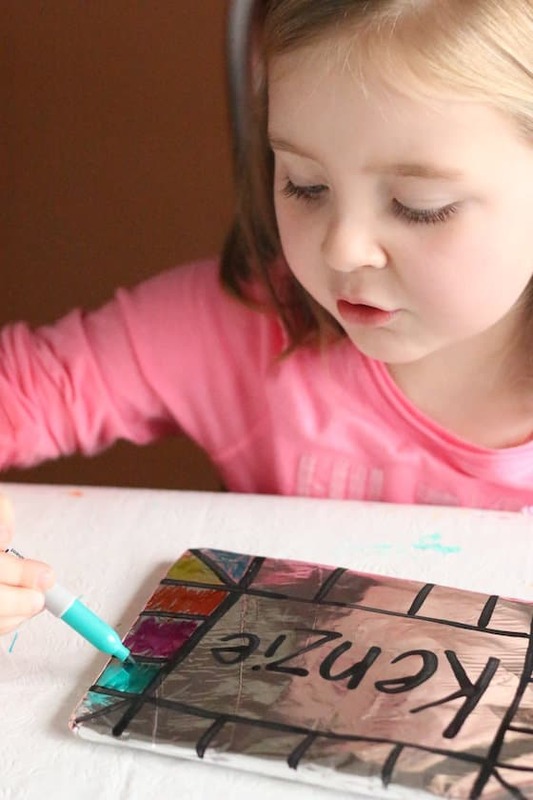 They’re my favourite markers for making art with even when I’m crafting with toddlers and preschoolers. I’ve always believed that when you give kids great tools, they produce great work, so we use Sharpies often here in my home daycare. They’re wonderful when working on smooth surfaces like glass, plastic and wax paper. 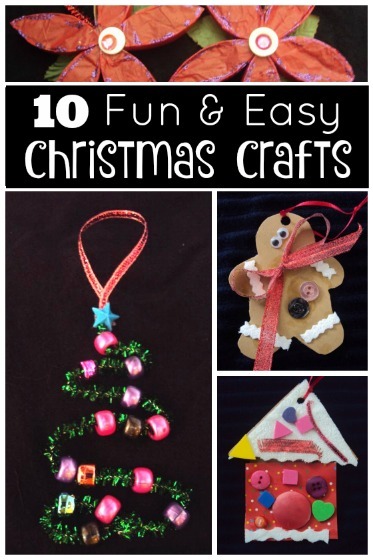 In the past, we’ve used Sharpies on tin foil for small projects like our tinfoil jar lid ornaments, and foil wrapped ornaments. This was our first time making a bigger piece of art with Sharpies and foil, and the process and results were awesome. 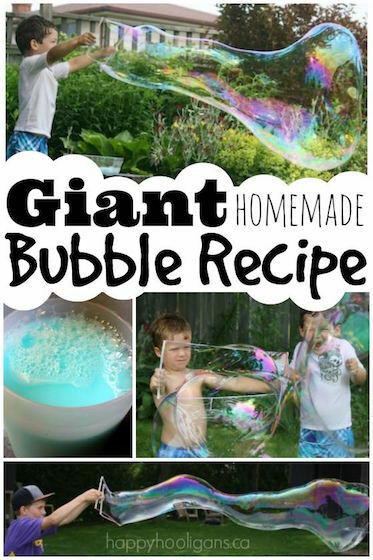 I tested this project myself before introducing it to the kids. I knew I had a winning an art project for my crafty little cousin. To start, I cut the curved edges off of a styrofoam meat tray. I always have a stack of styrofoam trays on hand because they’re versatile for crafting with (see our styrofoam button trees) and can be used as paint pallets or trays to hold the supplies for a craft project. Note: always run your styrofoam trays through the dishwasher to sterilize them before re-using. Trimming the edges off left me with a flat “canvas” to work on. I wrapped the styrofoam in tin foil, making sure the front was smooth, and free of any creases. Then, with a fine paint brush, I created a border of squares around the edges of the canvas. In the center of the canvas, I painted the child’s name. Note: load your paintbrush up with a generous amount of black paint when making your border and painting the name. You may even need to go over some lines twice for full coverage. It’s fun when there are letters like e’s and o’s and p’s and b’s that have centers that can be coloured in. I let the paint dry fully before moving on to the next step. I avoided pale pinks and yellows, and instead, selected vibrant, bold colours, knowing that they would show up best on the tin foil. With the Sharpies, I coloured in the blocks around the edge of the frame, and the centers of some of the letters in the kids’ names. 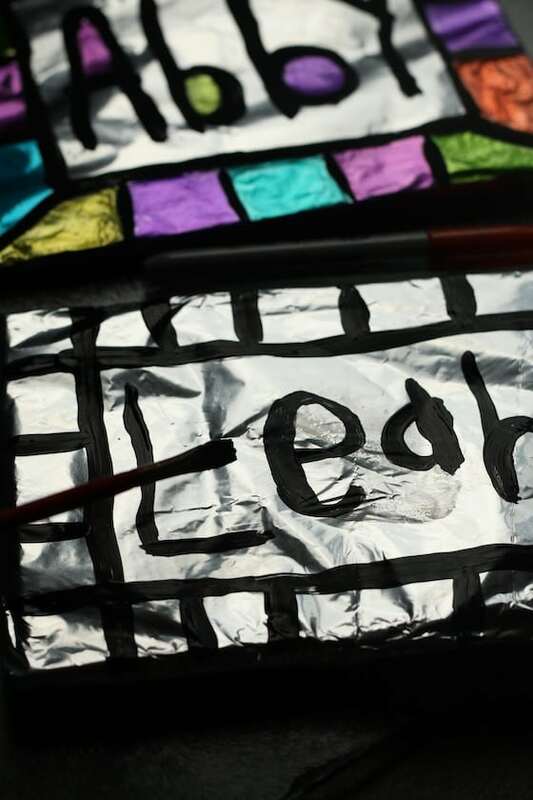 If you’ve never coloured on tin foil with a Sharpie, you must! The foil is so smooth and slippery. It feels so slick! Don’t you love how the foil gives the colours have an iridescent, metallic look? Here’s my crafty cousin working on the piece of name art that I prepared for her. Aren’t these pieces beautiful? 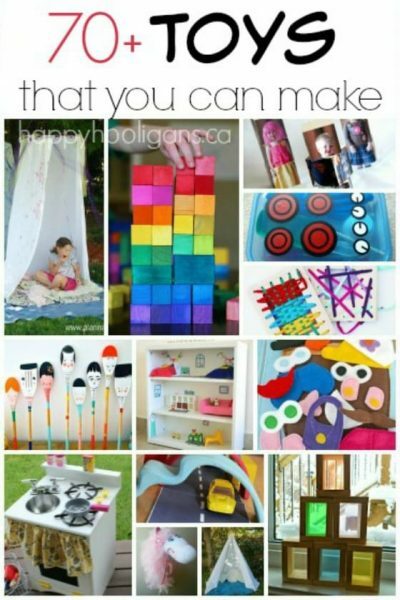 Perfect for displaying in a child’s bedroom! 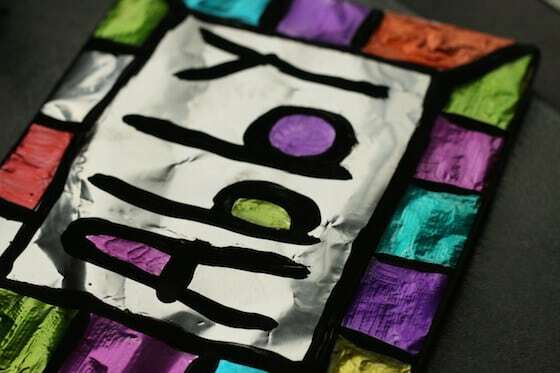 Now, I need to come up with more cool Sharpie and tin foil art projects for the Hooligans! 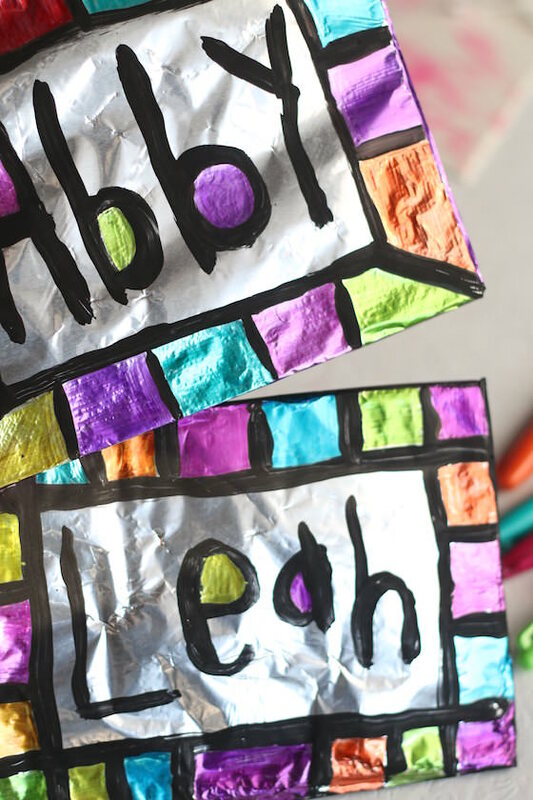 Meanwhile, here are a whole bunch of cool ways to use aluminum foil in the craft room and around your home! 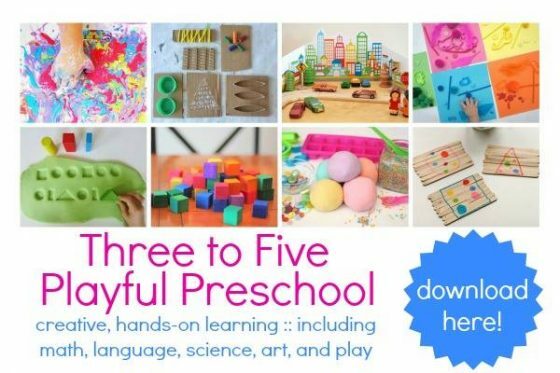 I enjoy your crafting blog and I will use this project in my after-school program. 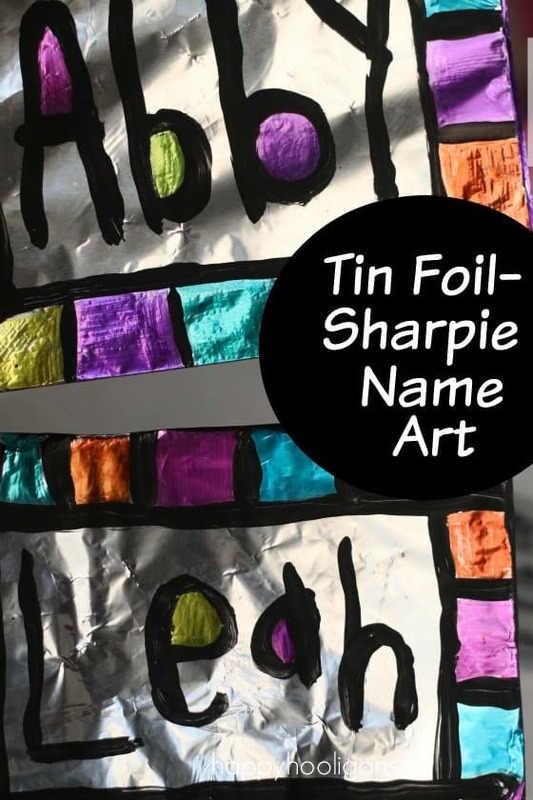 I wanted to share another fun sharpie-tinfoil project which was done for special occasions in my grade school growing up: Insert a paper stencil into a sheet protector, which the children trace with black sharpie. Then color in the picture with colored sharpies. 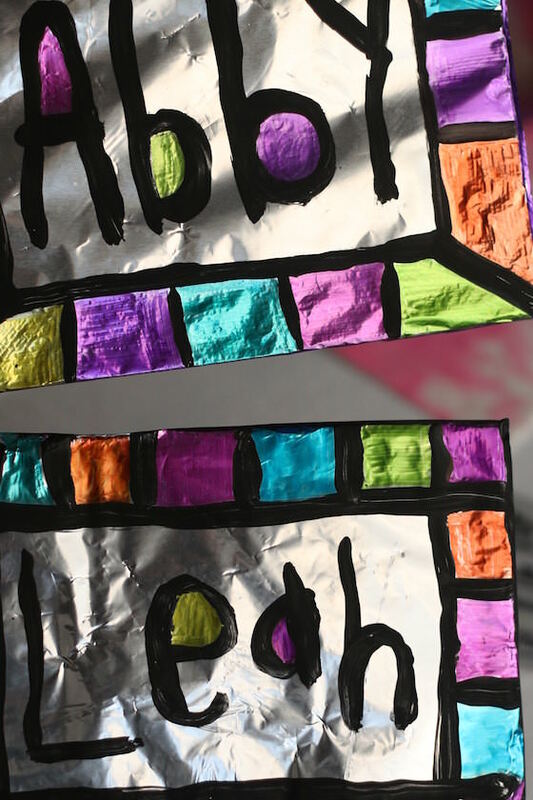 Then remove the paper from the sheet protector and replace with a piece of tin foil which has been crumpled and carefully spread out to fill the entire sheet protector and be a beautiful textured background for the sharpie art. Oo! That sounds lovely, Estee! We’ll have to try that here! Thanks for sharing! 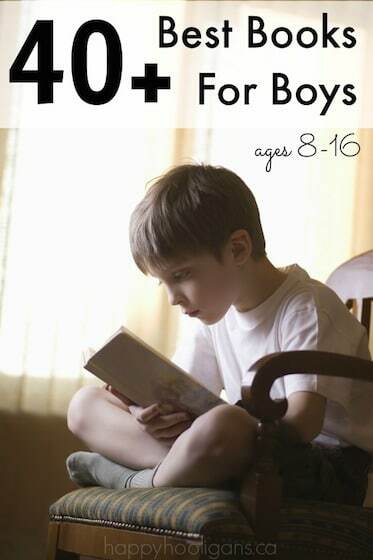 This is such a great idea thank you for the post. I always have a ton of sharpies in my office and who doesn’t have foil? 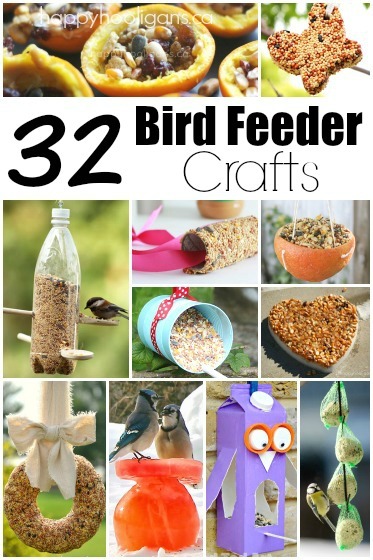 An easy project with items we use everyday. Love this! And another good backing for the foil is foam core board. I cut the board into smaller rectangles, cover with foil and tape it down on the back down with clear tape. We used poster paint, but I can’t wait to try the permanent markers. I have a lot!